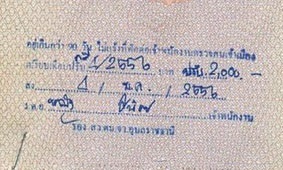 The image below is of a Thai visa. It is issued outside of Thailand, by a Thai diplomatic post operated by the Thai Ministry if Foreign Affairs. It is a multi-color paste-in decal. 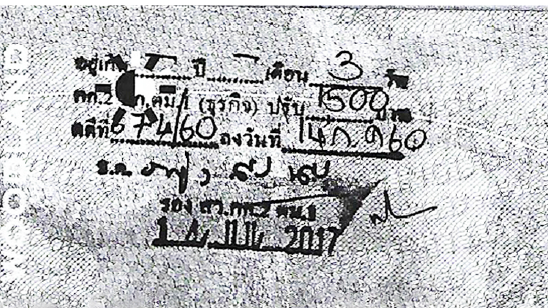 The red arrow points to the Class of the visa, which may be: B (Business); O (Retirement or person with Thai family member); E (Education); T (Tourist); TR (Transit). 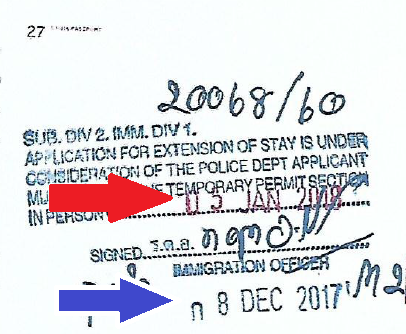 The blue arrow points to where is shows whether the visa is for S (Single) or M (Multiple) entry. 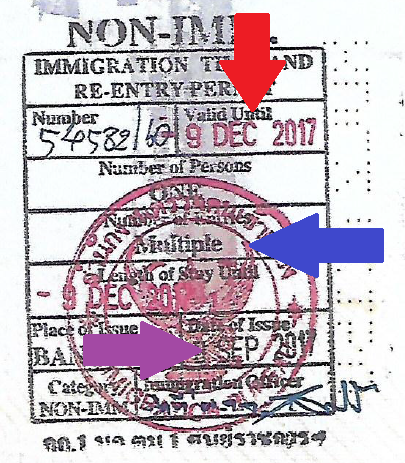 The purple arrow points to the "Valid until" date, after which the visa may no longer be used. 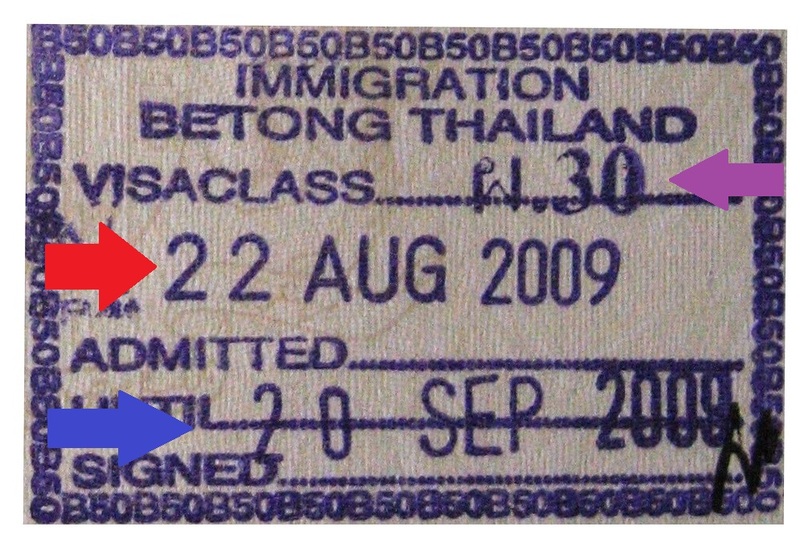 Except when you have a multiple entry visa, once you enter Thailand, the visa will be annotated "Used," along with the machine-stamped date of your entry stamped diagonally across the visa, and that visa will be cancelled. There is no such thing as "extending a visa." 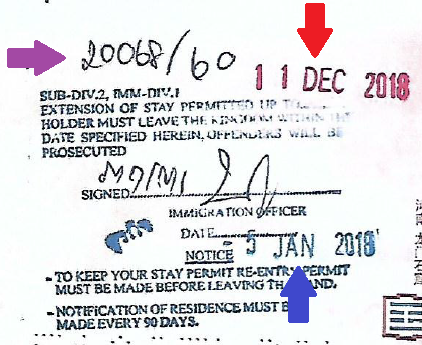 Once a visa is stamped "USED", or its "Valid Until" date is reached, it is dead and no longer valid. 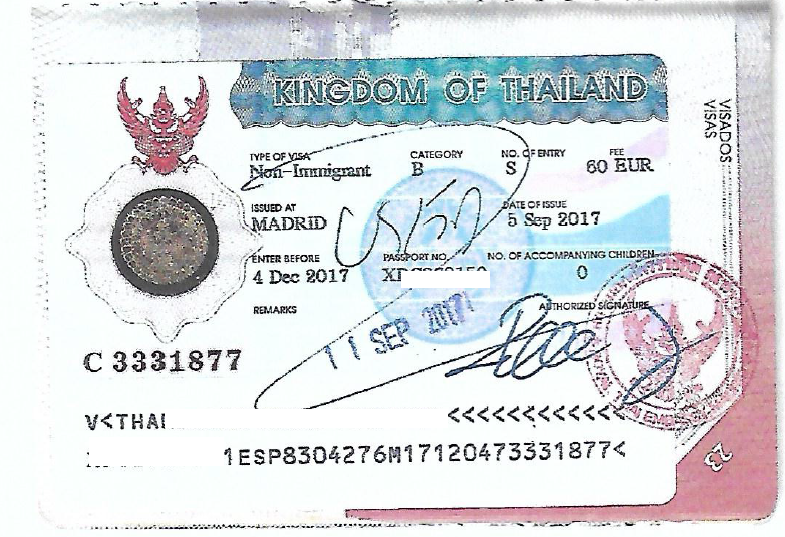 An initial entry permit is a bluish rectangular ink stamp paced into your passport by an Immigration officer of the Royal Thai Police, at an entry point into Thailand. It can normally be issued for 15, 30, 60, or 90 days, depending on the type of visa that was in your passport when you entered Thailand.